We offer wide range of wash solutions for all the printers such as Domino™, Videojet™, Willett™, Imaje™, Linx™, Citronix™ and Hitachi™ at a cheap price and also fully compatible with all oem's. Printing blankets, rollers and impression cylinders in modern sheet-fed offset presses are cleaned by various types of automatic washing units. VAANIX washes are specifically designed for this purpose. They offer strong cleaning action and outstanding reliability. These products have been tested and approved by press manufacturers. HP CISS replaces both original and compatible ink cartridges for HP printers, providing exceptional print quality and value for money. Our range of CISS for HP cartridges are also guaranteed to save you money on printing costs. With DYNAMIC and BASIC creasing matrix you have the widest product range worldwide of creasing solutions at your disposal. You will find exactly the right solution for every application and material. We are offering Offset Wash Cloth to our client. We offer very broad range of Intermec Consumables of Bar Code Printers which are of supreme quality. 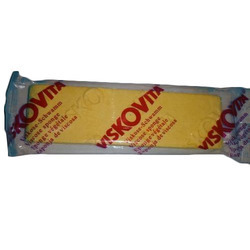 These are designed by our experienced professionals using the best grade raw material and latest technology in compliance with the international quality standards. We are majorly looking for local queries. We have also positioned ourselves as a leading bar code printer’s supplier in India. 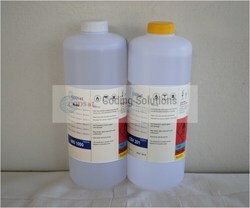 Consumables Include: CIJ Fluids, CIJ Ink, CIJ Cartridges etc. Our valuable clients can avail from us premium quality grade of Continious Inkjet Printer Thinner that is specifically for the sapphire pad printing / screen printing ink series. Our provided thinner is precisely processed at vendors' end utilizing superior quality chemical compounds in sync with predefined industry standards.